We will say this definitively: unless you like the hot-hot-heat, don’t travel to Malta in June (or probably any of the summer months, for that matter). For three weeks in 2012, we melted on the beach, in the streets, and just about anytime we stepped outside. It’s a good place to just bake and lounge poolside for a few days, which is mostly what we did. Our first stop was the northwest coastal area around Mellieha, Malta, where we became tropical zombies for the first few days. People say that Malta is more Catholic than the Vatican. We can believe it, with religious trinkets adorning the doors of Malta. 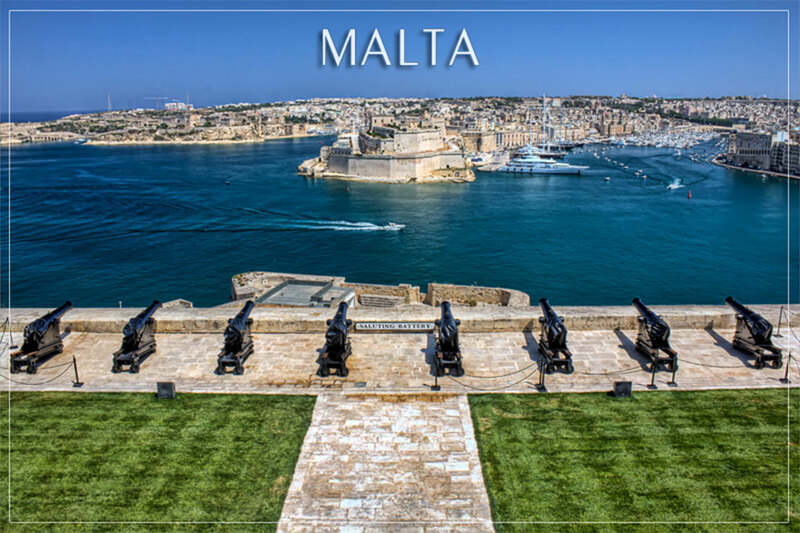 Did you know that Malta once held the title of the “most bombed country on the planet“? Yeah, us neither. We visited the Lascaris war rooms that tell that story. You can’t visit Malta without trying pastizzi, their famous pastry snack. Why you should go to Comino, and it isn’t for the blue lagoon. Driving Gozo, Malta is the best way to explore the tiny island! And finally, we wrapped it up the best way we know how, a collection of our postcard photography from Malta.